The lake water levels are higher than normal because of the unusually warm weather and that SCE kept more water in them to compensate for the dry winter. 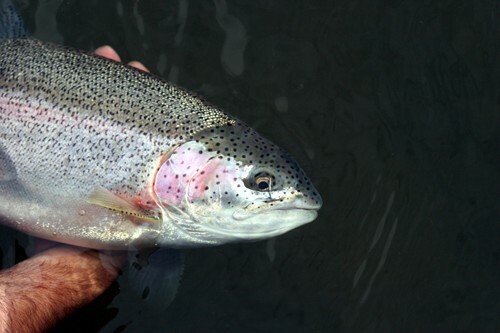 The fishing has been super with Nightcrawlers and Salmon Eggs doing best. Lake Sabrina has had boats for rent on the lake since opening day and South Lake is starting to rent boats today, Saturday. South Lake planted a large number of Alpers monsters this week and we have seen only a few come out. The rest are still in there. The cabins and cafe at Bishop Creek Lodge are open and running again. Be sure to stop in and see us if you get in the area. Gary, Suzie, Derek, Tina, Sam and the rest of the crew.